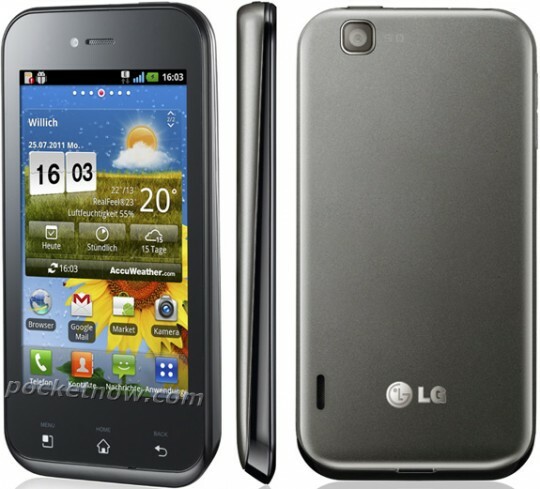 Say hello to the first official press shots of the LG Optimus Sol (aka LG Victor E730). The Optimus Sol was first spotted in this leaked roadmap including an LG Prada remake running Android. While we are still searching for more details it should be a decent little mid-range offering although someone should probably tell LG they forgot the LED flash. Who does that these days? It looks a bit like an iPhone and the Samsung Vibrant made a baby if you ask me. While the Optimus Sol we are seeing now looks quite a bit different than the original leak we are left wondering if the internal specs have changed as much as the outside, but we can’t know for sure. Original reports suggested a 3.8″ AMOLED display, a decent little 1 Ghz processor under the hood with a 5 MP rear camera with VGA front all running nicely on Android 2.3 Gingerbread. This would make the Sol line up as a nice mid-high end offering and should make for a good price too. With dual-core phones slowly becoming the norm, we could see something like this be the new Optimus One as their lower offering but only time will tell. Previous articleMotorola Droid Bionic Hitting Best Buy Soon?